Again, this is a long post which you can read through in it’s entirety the first time but the next time you visit you can use the links below to get to a specific section within this post. This word on Aaron’s Rod is not for everyone. It is what Abba Father would love to give everyone but this is for those who choose to seek intimacy with Him. It is your choice to spend time with Him. Therefore, only if you choose this path will you see this kind of fruit. This word is for the people who live in the secret place. When Moses went to the Pharaoh and the magicians threw down their rods and they turned into serpents it was Aaron’s rod that was thrown to the ground that turned into a serpent & ate the other snakes (Exodus 7:8-12). The rod is supernatural. When the tabernacle of the Lord was be ing built and the ark of the covenant was put in place there was bickering amongst the tribes. (Numbers 17) Everyone was jockeying for a position and competing with each other. They wanted to be chosen to be the one to minister before the Lord in the Holy of Holies. To settle the squabble, the Lord told Moses to get a staff/rod from each of the leaders of the tribe, write their name on it and put it before the Ark. From this the Lord would publicly show who He chose to be the priest to minister before Him. 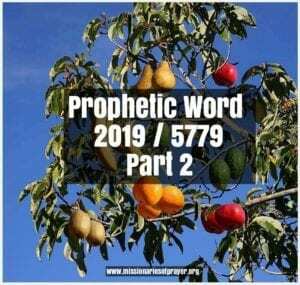 So from a dry rod there was fruitfulness, but not only fruitfulness but the sign of a perpetual fruitfulness..sprouting, budding, blossoming, producing fruit. ALL AT THE SAME TIME. The picture that God is showing here is that you will walk into a season this year where your fruitfulness will not end. There is no stopping it. He is going to make your life a sign and a wonder because people who counted you out (they thought you were a dead thing) will have to stop and take notice. They will not believe what they are witnessing…and it won’t stop. And, nobody (no man or demonic power) will be able to stop it. The same power that brought the fruitfulness shall sustain it. Your fruitfulness will be a sign that the Lord is indeed with you. Just as this miracle of Aaron’s rod made the other tribes back up, this is what is about to happen with you!!! Why you? Because you have made the Lord your dwelling place…because you have made the Lord your dwelling place. That’s why. This is all because of proximity. Because of your closeness to the Lord, you will step into this. You won’t need to ask for the signs, wonders and miracles they are just going to happen automatically. Because you’ve made the Lord your dwelling place. It doesn’t matter if you are Pentecostal, COGIC, Assemblies of God, Presbyterian, Baptist, Catholic, Adventist…whatever church you may find yourself in at this time is irrelevant. The Lord has seen your heart and your faithfulness to be with Him on a daily basis and it is because of this that He will publicly show off using YOU! MIRACLES. Don’t be afraid of it. It doesn’t matter if you are the Apostle or the person with the gift of hospitality. Your perpetual fruitfulness will be the evidence of the Lord’s divine call on your life. 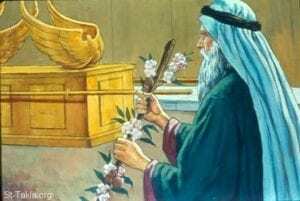 In the end Aaron’s rod was placed inside the Ark of the Covenant so that it was preserved in its perpetual state of fruitfulness. Inside the Ark. This is the place where the glory of God dwells. So it is the proximity of the rod to the Ark that sustained it, and protected it. The GLORY of the Lord will be all over you. I’m going to stop right here on this one. Your life is a representation of the rod. As you continue to daily commune with Him and stay in close proximity get ready to see some things happen in your life that will surprise even you. Supernatural stuff!! All you need to do from here is tomorrow or later today when you get into the secret place with God ask Him to give you the revelation of Aaron’s rod for your life. I’m so overjoyed for you. The world needs you right now. Proximity, the Word, the supernatural food (manna), the Glory of God, sprouting, budding, blossoming, producing! Praise God! You know if we are going to be sharing the good things that the Lord is doing we also have to share with you the bad things that the enemy will be up to. The enemy knows that this is your year of birthing and fruitfulness so he as well will be looking to disrupt and steal that which was promised. Yeah, he’s waiting for you and watching just as you are. As a result pay attention to the covert ways in which God will deliver your promise. Yes, I said covert. As long as you remain in the secret place the enemy has no way of knowing the when, where, why and what is about to happen. He can make a guess but he really doesn’t have the details. The Lord Himself is going to make sure you birth in this season. Isaiah 40:10 (NLT) “Yes, the Sovereign Lord is coming in power. He will rule with a powerful arm. See, He brings His reward with Him as He comes. God HIMSELF is going to fight this one for you!!! So now that you know the Lord is the one fighting, what do you do in the meantime? Well, much like a woman who is about to give birth you are going to have some discomfort, close calls, things look really bad right before it actually happens. There are many great warfare prayers written and we can Google and find awesome prayers. However, in this season you are going to need to learn a new kind of strategy for warfare. God is going to require you to handle this differently. When the dragon shows himself, you need to do only one thing. Feed him some fruit. You know sometimes we can turn into a one trick pony when it comes to spiritual warfare. We pull out a very powerful prayer or we start praying for 45 minutes in warrior mode and we are convinced that we took care of it. But then, the next day here we go again. Has this ever happened to you? Sometimes, the warfare prayer is not the answer. 2 Corinthians 10:4 says the weapons of warfare, not weapon..weapons. That means you have more than one. Sometimes you just need to quote one scripture, another time it is your character that will shut down the warfare. In Exodus 23:20-33, the Lord tells the Israelites that He would go before them and drive out the enemy using fear, confusion and hornets. We also know that they had to fight some of the enemies too. Your warfare this year will be won by how you respond. When we get attacked by the enemy we generally attack in warfare prayer. This time when you get attacked if you think about what fruit you need to exhibit to send that demon to flight this will win you the victory. This will be a very unnatural response because we don’t think about crucifying our flesh when we are attacked. For some of us to crucify the flesh and respond contrary to what we normally would do is difficult. If you are dreaming or seeing in visions dragons, alligators, octopus, snakes or anything of this sort it is associated with the spirit of leviathan. This is a principality. You never go up in spiritual warfare against this type of spirit. I mean like never, ever. Unless, of course, God tells you to do it. This was the spirit that was unleashed on Job. Gossiping. Stay away from people who love to gossip. Misunderstandings. He said this, no I didn’t. She said this, that’s a lie. The minute you start to see and hear this back and forth going on. Remain silent. This principality is unlike any other in that it will work on both sides of the fence. For example when someone has any kind of influence from Jezebel or other demonic spirit it’s just on them. This one, is not like that. It will affect you as well. It is very deceptive. So when you see it in operation coming against you, be careful because it will now start working on you too. How does it work on you? Have you ever received an email got all upset about it, send off a reply that was not so nice and then realized a day or two later that the email you received really wasn’t that bad? That’s it. How about a medical report that you were so worried about only to realize you misread it! Yes, this spirit works on the communication lines. This is why it “darts back and forth” it’s going to be working on you and on the other person at the same time. Complete distortion of communication. It works to get you to curse others with your tongue. If you’re mad enough you will do it not realizing that you just fell for a trap from that spirit. Remember Job’s wife? Curse God and die?? That’s it. His friends spoke bad about him because they assumed he was in sin so with their own tongue they were cursing him thinking that they were doing the right thing but they were not. It will turn people against you and the whole time they will honestly believe they are correct. The problem is that you will think you are correct as well. So now there is a standoff. All the petty things people get involved with on social media talking badly about other pastors, prophets, the president..when you comment on those posts you in essence open the door to the spirit. Remember Job’s friends thought they were right too. Leviathan wants YOU to curse other people. This is the end game so when you use the fruit of the spirit – self control – and not comment or share the post then you are avoiding opening the door to that spirit in your own life. It starts online and then it’s in your house. You replied to an email and then it’s in your house. Within days your household is in chaos. Your kids won’t listen to you. You’re having problems with your wife or your husband. Miscommunication galore! Disunity and Division. What follows the miscommunication? Church split. Divorce. Losing partnership. It wants to ruin your relationships. Ministry partners drop you because they heard… Generally none of what they heard is true. Are you having issues with people that you know God sent to be partners with you in ministry? Yes, that spirit is trying to divide you. You open the door with your initial response to communication. So let’s look at the practical steps you take. Remember it is going to come through some kind of communication. So you read something online, even if you agree stop and think about it before you comment or share. Is it tearing down someone? Yes? You need to walk away. Self control. You get a text or an email that rubs you the wrong way and you are about to answer…. Wait 24 hours if possible. Patience. If you reread it the next day and it is as bad as you thought you respond with Gentleness. The person may not deserve the gentleness but it doesn’t matter. What you are doing is disarming this situation and getting this spirit off of you. You don’t need to call brother so and so and tell them what just happened. No, you need to be quiet. When people start gossiping about someone else, say something Kind. And, who doesn’t need to be more loving? We all do! Get the picture? You will need to counter this thing with the Fruit of the spirit. Give ’em Fruit! You know WWJD well in this case it is What Would Job Do? Did he retaliate? Get mad? Throw a fit and curse the friends that cursed him? No. He prayed for them and responded with humility. Job responded with Fruit. So you don’t want to attack this thing with a warfare prayer, it will not go well for you. And it will hang on to you for years. How do I know this? God said so! One of the chief characteristic of this spirit is its pride. It is the proudest of all creatures. Pride says I am right and you are wrong. This is basically what happens in most arguments, someone is trying to prove they are right. Walk in humility and walk away because you don’t want this spirit unleashed on your household. Those are the words of Jesus. When Leviathan, full of pride, shows up he should have no hold over you. He should have nothing in common with you. Why? Because you won’t respond in pride. You will be doing exactly what the Lord says and walking in the Fruit of the Spirit and walking away (you don’t need to be right). So many of you have lost your joy. It is time for you to get that back. Our goal in going from glory to glory is to look like Jesus Christ more and more each day and each year. So, you should be walking closer to exhibiting the Fruit of the Spirit as the years go by. This is what the Lord wants us to work on. This leviathan spirit will shine a light on the areas where you are weakest and this becomes your opportunity to shine for Jesus. Over a year ago I saw in a vision a bride in her white gown, she looked beautiful walking down the stairs into a pool. The problem was the pool was filled with alligators of various sizes. She was smiling as she was walking in and I was jumping up and down waving at her saying “Get out of the pool, don’t you see the gators?!! !” She just looked at me smiled and kept walking in. This is the church. If you look at your Facebook feed you’ll see the church walking into the pool of alligators. We’ve become so hateful, in the name of truth. What we need to do is STOP. There are so many cursing each other. Word curses everywhere! And every person thinks they are the one that is right. What they don’t realize is they are engaging in this a demonic spirit and opening a door in the realm of the spirit into their homes and workplace. It is a trap from the enemy and many are falling for it. In another dream, I’m going to the beach and in the picnic area at the entrance I see two ladies talking. One has a lion on a rope (leash) and she’s relaxing the other lady had just come up from swimming she had open wounds, gashes and her clothes were torn and she sat there talking to the other lady like nothing was wrong. I looked at her and she said to me “are you going for a swim? I just got out and the water is lovely” I asked her if she was OK because she was pretty torn up and she said she was fine. I walked past them and headed down the step towards the water. There were mangroves and sea grapes lining the step area and through the bushes I could see coming up out of the ocean a giant alligator. I turned around and headed back up and straight for my car. I was not going in that water. I felt when I woke up that those women were actually intercessors. One has the lion, the Lion of Judah, so she knows that she can’t go there without Him. The other one is pretending like she’s OK when she’s not. She is traumatized, damaged and wounded because she thought she could go swimming and battle this thing. She was acting like her scars and the fact that she was still alive was some kind of medal of honor. No matter what she said, she was not OK. If you are reading this and you feel like this is you, please stop trying to fight this thing. It’s not a sign of defeat or weakness. It is simple, there are some battles that truly belongs to the Lord. You can’t fight it. You need to hand it over to the only one who can and that is El Gibbor…the Almighty God, Jehovah Sabaoth…the Lord of Hosts. Please read this post about spiritual warfare. Psalm 74: 12-14 says that it is God that breaks the heads of Leviathan. Not head, but heads. What this means is that this principality starts through twisting communication but then you will find that it will begin to manifest in different ways in the life of the person that it attacks. You are going to see the spirit of Jezebel, pride, the python spirit, total chaos and confusion, lies, false accusations, it will attack your health, your finances, your job (if you still have one), division in families, division in the church, total disunity. It comes with many other demonic spirits. Just look at what happened to Job. Isaiah 27:1 Again, says that it is God who will kill this serpent. So, if you feel you are under attack by this principality the last thing you want to do is Google a warfare prayer to battle it. I’ve just given you 3 scriptures where the God says He is the one that has to defeat it. So you need to back up, and ask the Lord to take over. You can’t battle this thing. It only starts with the communication but it will then turn into other things. In the end you won’t even know which spirit you are battling. It’s like an octopus, it has many arms. You start fighting one tentacle and they all come after you when you engage it. Also, if you get other people to enter warfare prayer for you it will attack them as well. No more commenting or forwarding things that are negative, online or in text or email. Or in person, stop talking about it. Gossiping negative people should not be a part of your circle. Time to start unfollowing people, or hide their posts so you don’t have to see it. This will return so much peace to your life. As far as your household is concerned, you need to respond with Fruit. You need to crucify your flesh, walk in humility and display the fruit of the Spirit. Even if you think you are correct. This is how you disarm this spirit. If you do this you will notice the atmosphere begins to change around you after a couple days. Be consistent. It will circle back and try to pull you in again but if you stick with humility and fruit, it will be gone! If you’ve been battling it for awhile and you now have others praying for you that are being attacked, you need to back them off as well. You need to hand it over to the Lord. You cannot have any other conversations about whatever that thing is that started this with anyone. You need to shut down all conversations regarding that topic. I’m speaking from experience here. Some of us have to go through things so we can turn around and teach others. Back in 2015 I wrote about this online spiritual warfare as a new kind of warfare on the church. What I didn’t know then was that it was Leviathan. But I watched as several people’s homes got turned upside down because of what they were doing online. Through a series of dreams and visions I started putting it together. One final dream about how we handle this, I dreamt I was in a house completely surrounded by alligators of many different sizes. I said to the Lord “I’m going to need some help here because I can’t go outside because of these things”. Immediately an angel walks through the front door and motions to me “Let’s go”. As quickly as he said that he walked back through the front door. I quickly ran after him and saying “Wait up because I need you to get past them”. I wanted out and he was there to get me out not sit around and talk about them. I opened the door and headed out after him but the angel was nowhere around. All these gators are there some look like they are sleeping (but they’re not) and I am looking up and down the street for this angel while trying to tip toe around alligators. The whole time I’m thinking, where did he go? Then it dawned on me, he didn’t go out…he went up! He walked through the door and then he went up. So I just thought, ok then..take me up. Instantly, there I was in heaven. Did I have a conversation about gators in heaven? Nope. The angel was there and continued discussing Kingdom business with me and what I needed to do next. My focus and your focus should be on Kingdom Business. God is in the alligator removal business, not us. God is not bothered by the alligators. He can remove them in 2 seconds. Let Him do what only He can do and you stay focused on what you need to stay focused on. The next time those pesky creatures show up, this is what you do…Watch this…. LOL, yes we don’t go out…we go up! You don’t have time to get involved in silly arguments. Stay focused on what God has called you to do. When we go up we get into the Presence of God. This post will show you how to do that. To end we come full circle to the begin. The letter Tet is good as well as evil so in this year you have to be intentional with your sowing and with your eye on what you will reap. The enemy will try to get you to sow into things that are fruitless and evil. You have to keep your eye on this. Always think about what you are sowing because there comes a period of time when you will reap it. This is the year of fruitfulness. For all of us, not just some of us. Look at your life and make a plan on how you will sow into each area. Your relationship with the Lord – what is your plan for developing intimacy with Him? Your spouse – how will you continue to grow closer to each other? Or, how are you going to mend the void that is there? How will you show your spouse that you appreciate them? Your children – what do you need to do to set an example for them to follow the Lord? Your family – when and how are you going to mend the discord and unforgiveness? 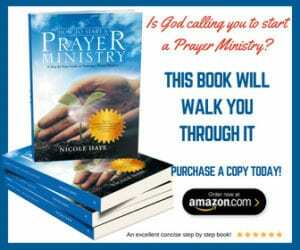 Your ministry – what does God think about your ministry? Did you ask Him? What changes do you need to make to get aligned with Him? Your money – how are you spending it? Where are you sowing it? Your time – where are you spending the most time? What can you do to improve that? You must be intentional. At the end of the year when you look back you’ll see the fruit based on what you intentionally planted. Good or evil. Sowing and reaping is real. You need to ask God first what to sow into each of these areas, when to sow in each of these areas and then you pray for the hundredfold blessing over what He asked you to do. Of course, if He tells you what to do and you don’t put it into action then you reap nothing. Always remember that even if the enemy attempts to plant evil, God has a way of taking evil things and turning it for the good of His people. Over the course of the year, I will talk more about the Fruit of the Spirit and the Gifts of the Spirit because this will help you to walk it out. Father, I thank you for the Secret Place. Thank you for the place that I can go for strategies and safety from the enemy. I pray that I will learn to not only visit that place but to dwell there. To abide so that I become like Aaron’s Rod sprouting, budding, blooming and producing fruit. Give me a deep desire and hunger to want to be in your Presence. Manifest your Holy Spirit in my life where I will begin to walk in the Gifts of the Spirit and the Fruit of your Spirit. I pray that you will guide me through the areas in my life where I need to intentionally sow. Uproot every unfruitful word seed that I have spoken over my life and the lives of others. Uproot the things that I planted that will produce evil. Cause my tongue to give life instead of cursing others. Guide my steps and my words to do good in this year, in Jesus name, Amen. I know the post was super long and heavy but I pray you were blessed and walk away something that will help you in this coming year. Be blessed! I love you. I feel like the woman in the swimming pool as well, except that I would say, “stay out of the water”! I tried to do my own self deliverance from an online prayer program that used prayer bullets. Had to get up at midnight every night and praise then use “holy aggression” to fire off these prayer bullets. When I decided, after at least three months, that this was just way too creepy and I quit; I awoke to spirits writhing through my body. It has been over nine months and not all gone. It has been a nightmare in many ways. I don’t understand why. Some people say the spirits are bullies and just invade. Some people say I must have done something very wrong because spirits are not allowed to do whatever they want. Some people say that I was deceived and that the prayer bullets were really cursing. If you have any wisdom or any insight from the Holy Spirit, please share!!!! Read spiritual warfare; makes perfect sense! Why isn’t it obvious! Thank you, wisdom gained and now I know why. Prayed prayer asking forgiveness and asking El Gibbor to come back onto His rightful place on the thrown of my heart. Plan on participating in New Years fast. Thank you for your prayers; they are much appreciated!! This is an amazing Prophetic word that has confirmed everything of what God has been speaking to me through the Holy Spirit. I have had the hardest 5 and half years of my life after I suffered a car accident that left me in chronic pain for that period. I had been waiting on the Lord, seeking Him for help and guidance throughout. I battled with many issues that my heart so wanted to overcome and it was so hard doing it without the love and help from a church family. I came out of church as I could no longer tolerate abuse, rejection, and a lack of love and acceptance. It seemed as though churches would makes exceptions for everyone else but me, I felt so targeted, unloved, experiencing, slander and Unforgiveness from people I did not wrong to who were supposed to be showing me and my family the love of God. The accident was the final straw after experiencing much traumas throughout my life. Although, I wanted to operate in my giftings in abroader context other than amongst family and few friends, the spiritual attacks, mental torture was unbearable. Everyone prayed and said I would recover but all the pain of everything saw me battle not to take my own life, I knew it was a very heavy Spirit and one I had not experienced in such a forceful way and I have fought and overcome many through God’s power and authority. I felt so alone and no brethren to visit to see how I was, no church family, I felt they had decided I was beyond help. I was treated like I did not deserve God’s love and this was reinforced through visiting numerous churches in the UK. I kept hearing God speak, experiencing God in me and around me, His Holy fire when I prayed and studied the word with my family. I kept seeing events in my dreams that became stronger and fulfilled through the TV before my eyes, I had told my loved ones what I had seen so when it came to pass they were so amazed. God was helping me, sending angelic visitations to my home and giving me spiritual knowledge which I shared with those around me who are believers. Finally, I started to receive prophetic words from God that He was starting new things in my life, I started getting so much creativity and felt and excitement in my Spirit and still am as I write this to you on the 18th of December 2018. That me and my family will be impacted if I follow God and let Him lead me to what He wants to now birth in my life that will bless others for His Kingdom. May God bless you brothers and sisters, that you will receive it with joy and that it helps you to do all that God has for you in this season and the years to come. Thanks for part 1 and 2 of the words. It speaks personally to me. I am digging it more. Praise God, He lead me to find your website and articles, I know this is exactly what He wants to tell me before the end of this year.. I pray for His blessings upon your ministry. Love from Indonesia. Please provide teaching on the Joseph and Solomon anointings. Can a person operate in both? It has taken us nearly thirty years to recognise the leviathan spirit operating in our church and family and friendship groups. The fallout is incredible. Tho we see it as almost impossible to persuade others what’s going on. This includes a succession of vicar who have left broken and in some circumstances separated from their wife and children. Jesus has revealed the operation of this spirit to us but we believe the only way to fully appreciate what’s going on is to experience it yourself and overcome through recognition and forgiveness as you say in your article. We have prayed for the gift of the discerning of spirits and we believe the Lord has answered our prayer as we now recognise it when we see it. Those who have walked in this terrible journey seem more able to accept its operation. 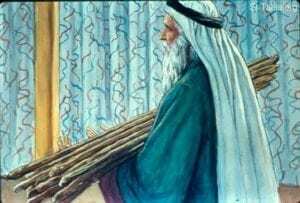 We ask ourselves…..Was Joseph the victim of Laviathan? More than this we feel encouraged that Joseph prevailed. We have struggled twice over in the heat of this battle and have now left the chur h where we stood for 30 years. It was too hard to continue. Since then…6 months…the revelation of leviathan has been going. It would be easy to recommend to most to get out in similar situations. We pressed in with the help of the Lord but revelation did not come as we had hoped. We are thankful to the Lord for the protection tion he has afforded us. We remain together in spite of the incredible hostility from our minister and a number of others we have been friends with for many years. We are dusting ourselves down with our newly acquired revelations trusting in the Lord for a Joseph.esque final outcome. Thank you for your ministry presenting us all with a platform of encouragement. We are willing to offer support to others who are up against this terrible and powerful spirit. Thank you so much for sharing Peter! I know at first it may appear to others that it is “just a disagreement” but it is not. I spent 6 years battling this thing until the Lord showed me what it was and how to get from under it. What I outlined here is how I overcame it. I find that humility and walking in the opposite of it’s operation at the moment (Fruit of the Spirit) the only way to untangle from it. Actually it shuts down the operation of this spirit immediately. It’s incredible how that happens but it does. God bless you. Thank you so much for this word i feel so much like the woman with torn clothes and not okay because i have been doing spiritual warfare in my own stregth. I need to focus on God more stop gossiping and let God do his work.The enemy has attacked me at work my husband left for another woman my life looks upside down now please help me pray as i surrender all back to God. Hello, I’m really sorry to hear what has happened with your marriage. This is the post that will show you how to hand this over to God https://www.missionariesofprayer.org/2017/05/spiritual-warfare/ Your biggest battle as I see it will be for you to stop talking about the situation with others. But, this is exactly what you need to do. I’m sure if your husband has left your family members and friends will be wanting an update on the situation and you may even have others bringing news to you on what is going on with him and this other woman. You need to shut all of this down. This is your way back to peace and wholeness. Here is another post that will help you getting into the Presence of God. https://www.missionariesofprayer.org/2018/03/intimacy-god-part-1-reverence/ If you will follow through and do these things, you will notice a change in your situation. God bless you. Thank you so much i will read this articles and put them into practice to win this battle. God has given me this assurance that my breakthrough is coming. God bless you and your ministry i am praying for you too. I can testify that the practical ways you teach is so beneficial and helpful to me and many others. Amen we thank God for his word for the coming year i have seen and felt myself in that word. I have been fighting and battling this spirit myself i need to stop and focus on God. Help me pray because my life is upside now my husband is gone and i feel like i am that lady by the swimming pool with torn clothes. God bless your ministry.